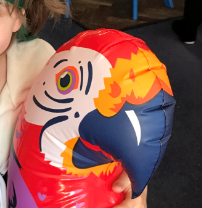 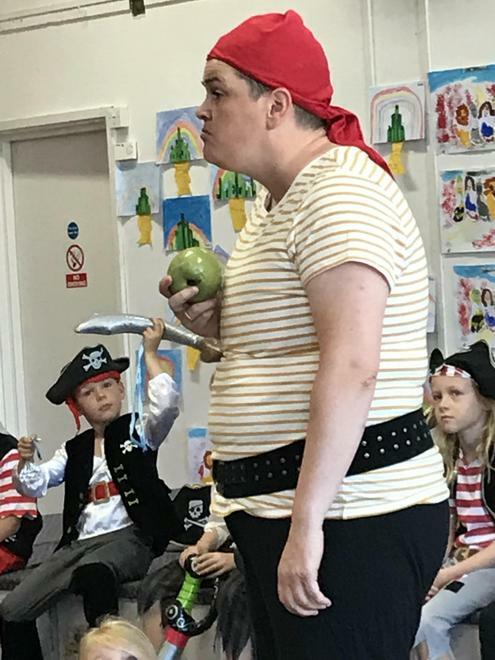 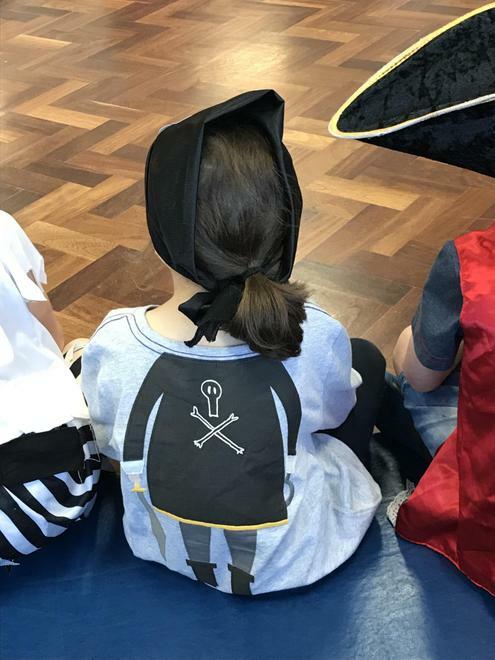 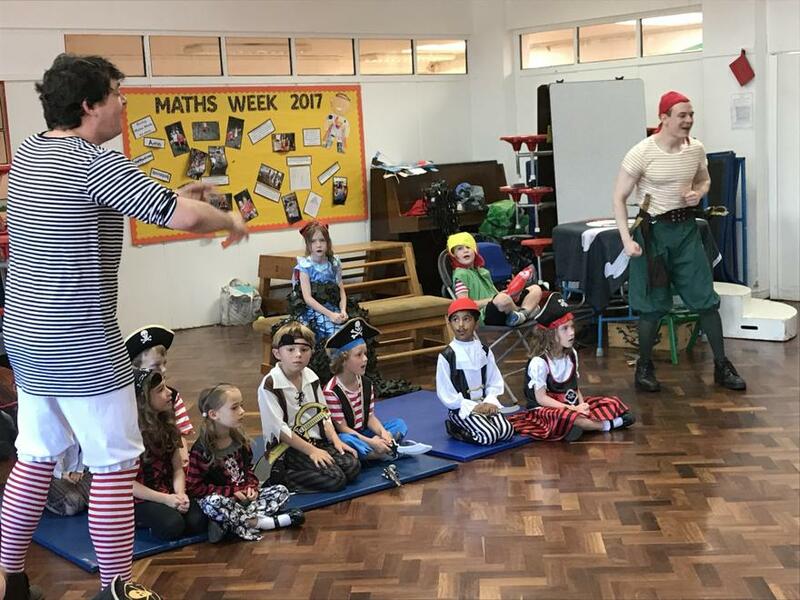 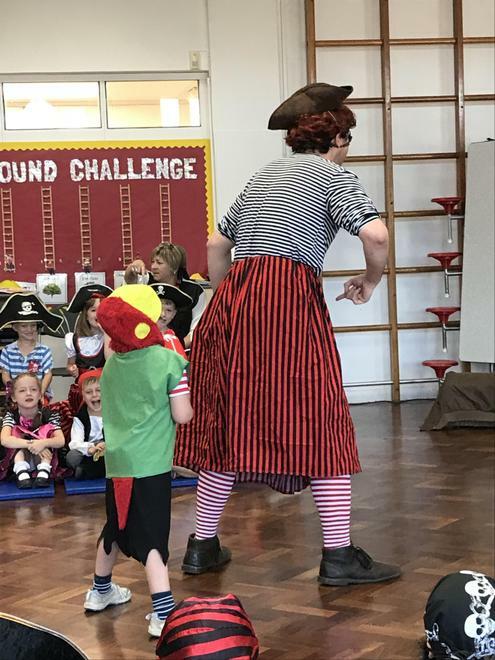 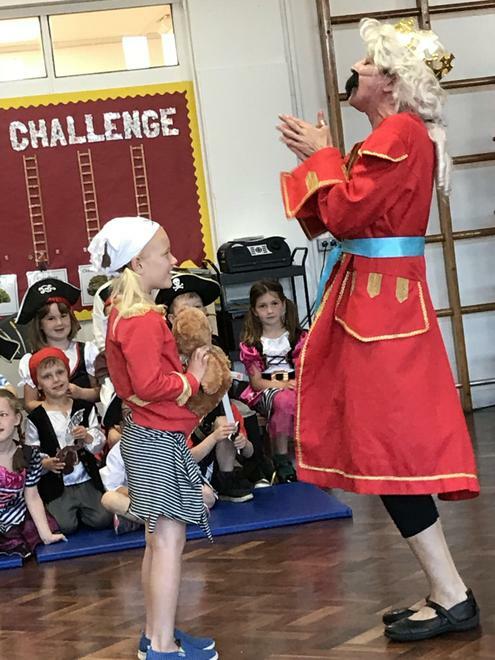 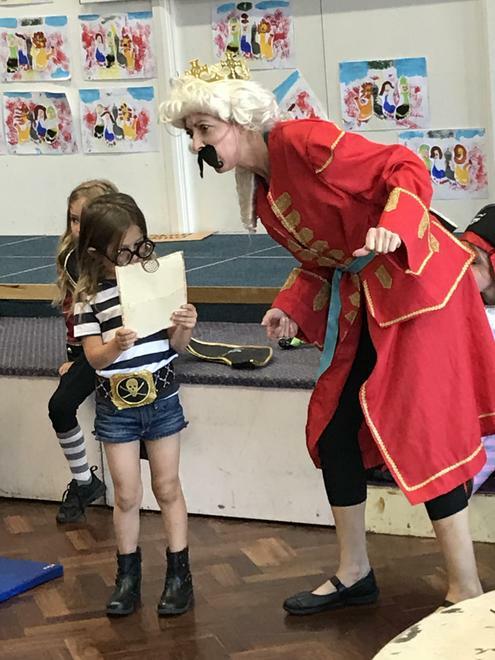 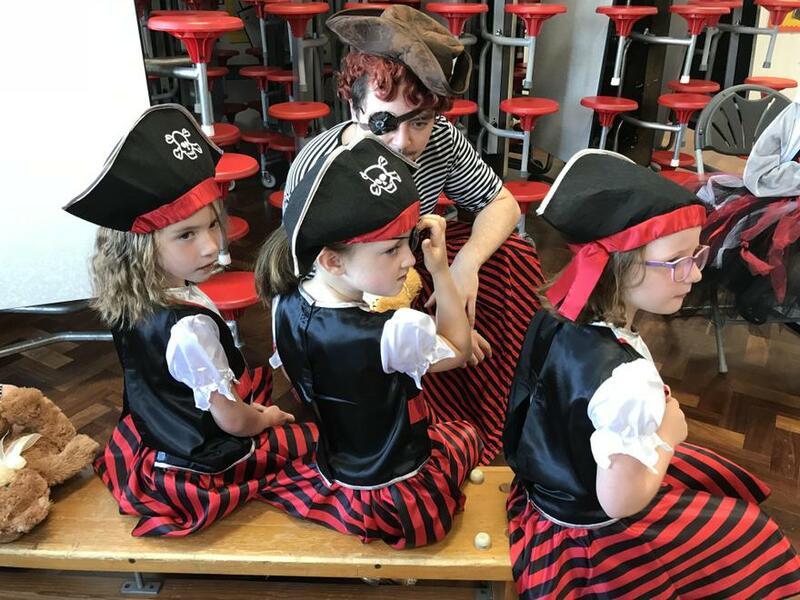 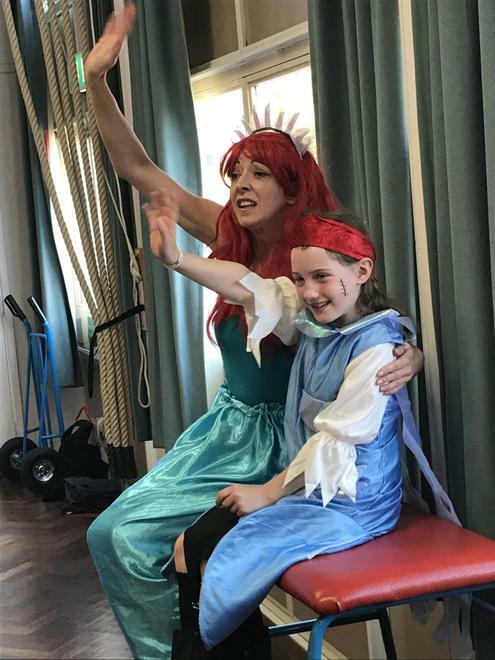 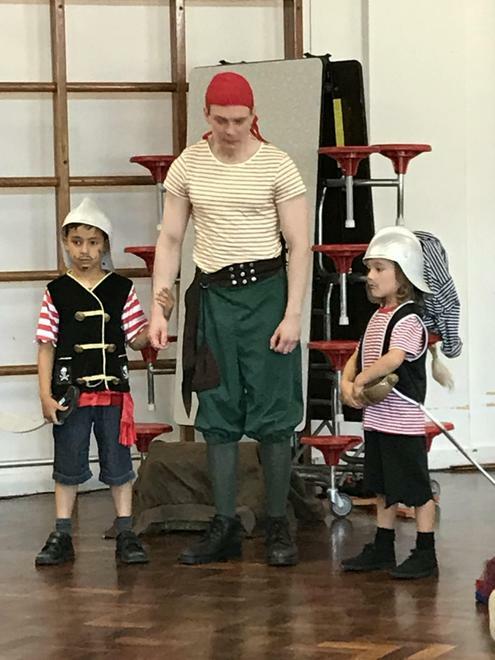 On Friday 22nd June, our school was 'awash' with pesky pirates! 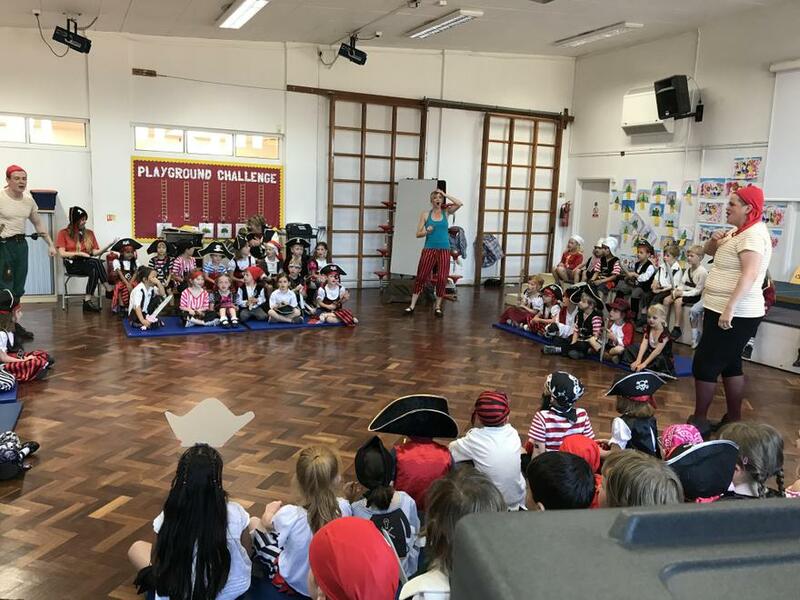 Year 1 children dressed for the final day of Pirate Week ready for a 'Treasure Hunt' and a walk on the plank! 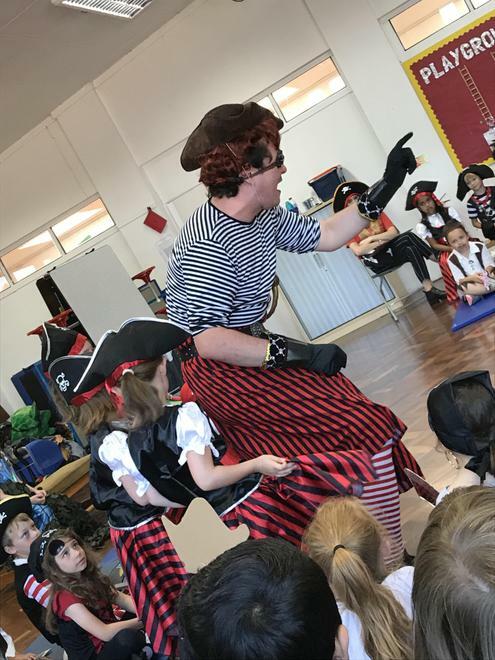 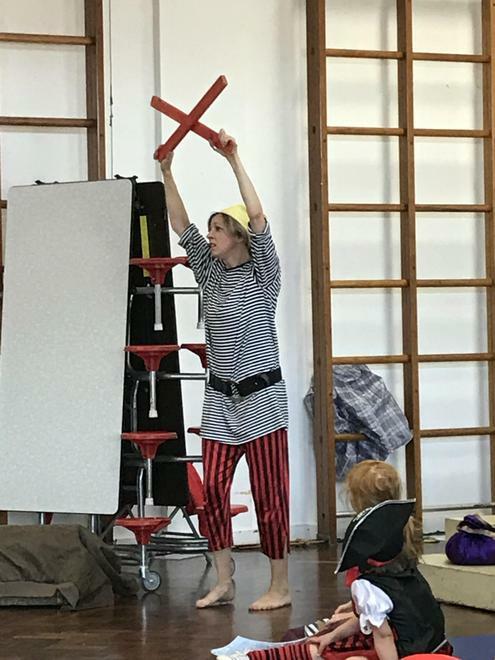 During the morning, we welcomed The Rainbow Theatre group for a workshop performance of 'The Jolly Roger'. 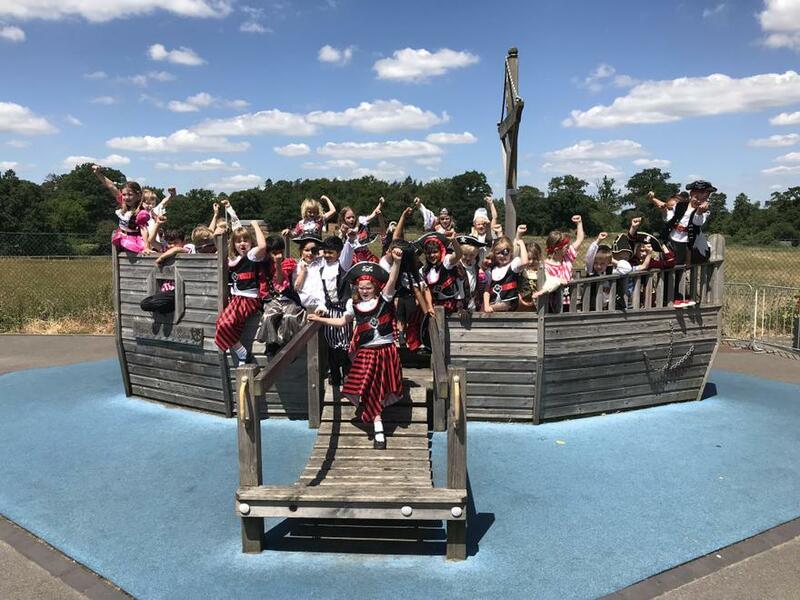 We would like to say a very big thank you to the PTA for financing this treat. 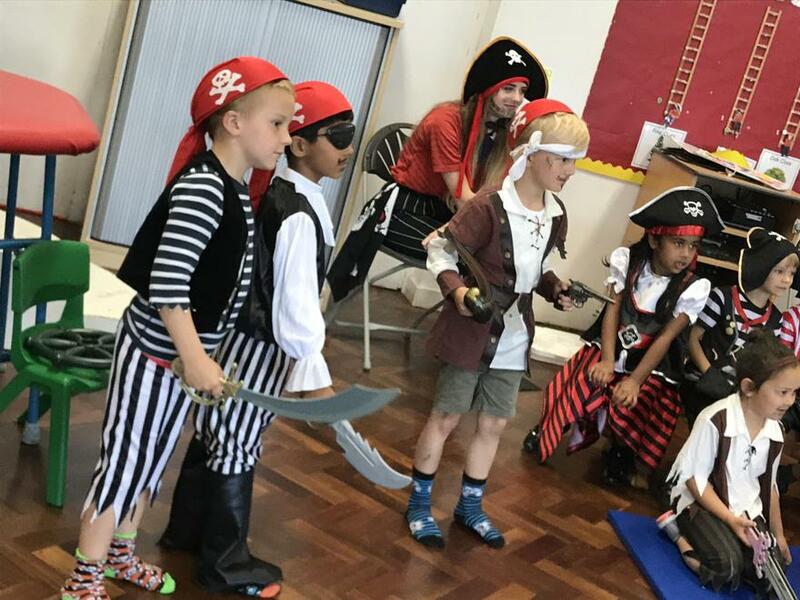 We had a wonderful day and our English work this week was exceptional as we were inspired by this exciting theme. 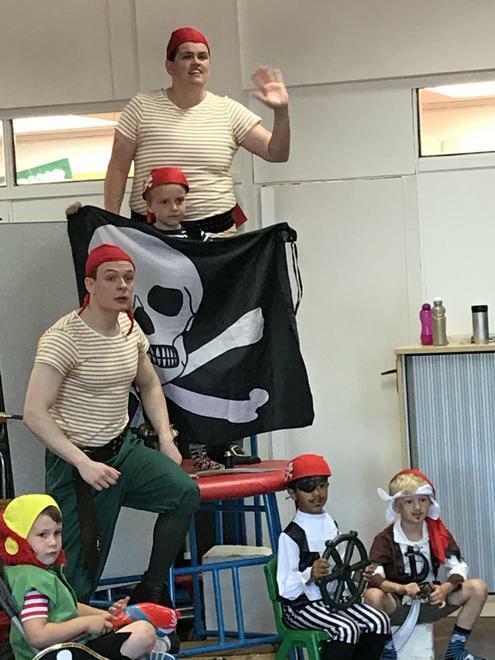 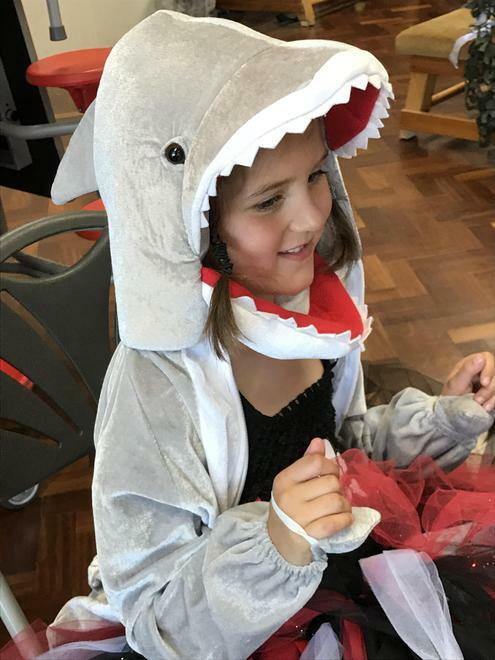 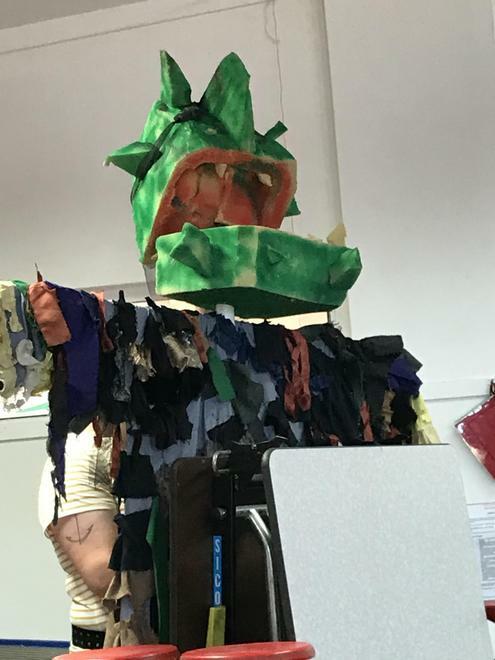 Thank you to all the parents for helping our Year 1 children to find a costume for the day...the smiling, excited faces were priceless!